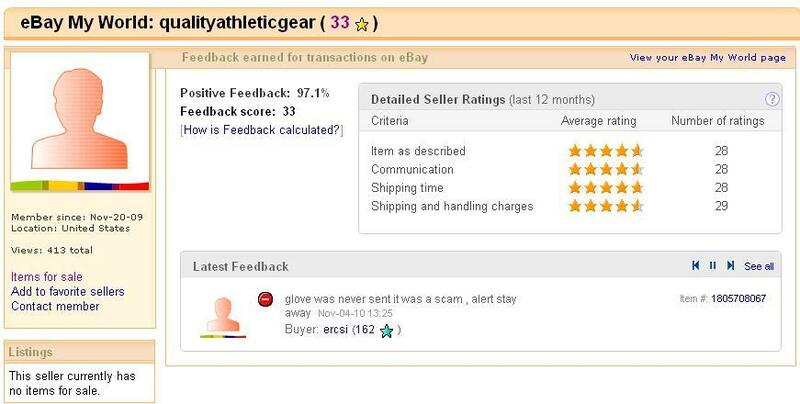 The eBay seller "qualityathleticgear" is accused of burglarizing the U.S. Naval Academy baseball team. A star high school baseball player from Maryland is accused of stealing bats, gloves, spikes and more from the Naval Academy baseball team this fall and turning around and selling it on eBay, according to court records released this week. The loot, allegedly stolen in mid-September from the locker room and coach’s office at Bishop Stadium around Sept. 16, reads like a start-up kit for a minor league team: a radar gun, a projector and projector screen, a catcher’s helmet, sunglasses, dozens of gloves, spikes, wooden bats and a can of pine tar. The alleged thief — whose eBay username was “qualityathleticgear” — was caught after he allegedly shipped some items to a winning bidders, who were really agents with the Naval Criminal Investigative Service. The story was first reported by the Baltimore Sun.